I recently got a package from Challenge Dairy asking me to create a dessert recipe using the ingredients pictured below. One of the ingredients was butter!!! To me the best cookies and desserts are the result of using real butter. It's no secret that I am a huge fan of butter especially when I bake, to me there is just no substitute. I also use it in a lot of my pasta sauce recipes. My normal butter of choice is Members Mark. I purchase a 6 lb package at Sam's Club every other month. I had never tried Challenge Butter before and I am always up for trying something new. Who knows it just might be better than my current brand. It took me a bit to think of exactly what recipe I wanted to make.I went back and forth for a couple days and finally settled in on a recipe for Soft Eggnog Cookies. 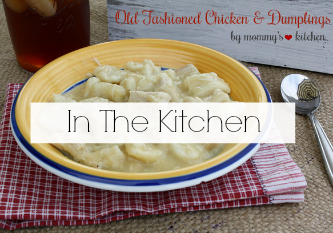 This recipe is kind of a spin off an old favorite that I love. The recipe I am talking about is for Old Fashioned Buttermilk Cookies. I thought if I improvised and substituted some of the ingredients plus added a few new ones that I just might have a new holiday favorite. I used all of the ingredients that were given to me, so I was really excited about that. I was a bit of a nervous wreck wondering if the cookies would turn out or if I would just end up with a big old flop on my hands. Well, I'm happy to say the recipe turned out great. The eggnog flavor really came through in these soft pillow like cookies. I also frosted these cookies with a eggnog flavored frosting. They were perfect!!! so I have a new cookie recipe perfect for any holiday cookie tray. I really liked the challenge butter and so glad I had the opportunity to give it a try. What I liked most about the butter was it's creaminess and great flavor. The price is pretty good as well retailing for around $2.50 regular price. Plus it's made from Pasteurized Cream from cows not treated with growth hormones. These cookies turned out so festive and yummy. I know they wouldn't be the same without the use of butter. But don't take my word for it why don't you try Challenge Butter yourself. Preheat oven to 350 degrees. In a mixing bowl, cream butter and sugar until light and fluffy. Beat in egg, vanilla and rum extract. Combine flour, baking soda, nutmeg and salt; add to the creamed mixture alternately with eggnog and mix well. Start by adding a 1/2 cup of eggnog and if you feel that the dough is to thick you can up to 1 cup. Drop by rounded tablespoonfuls 2 in. apart onto greased baking sheets. I used my small cookie scoop for this. Flatten down the cookie dough just a bit and bake at 350 degrees F for 10-12 minutes or until edges are lightly browned. Watch them closely they may not take the full 10 minutes, depending on your oven. The cookies are done when they are golden brown around the edges but still light in color on top. Test the cookies with a toothpick to make sure they are done. Let the cookies cool on the baking sheet for 5 minutes then remove to a cooling rack, cool completely and frost. To make the Icing: Combine butter, confectioners' sugar, eggnog and vanilla in a mixing bowl; beat until smooth. If the frosting is to runny add more confectioners sugar. If it is really thick add a bit more eggnog. It should be spreadable. 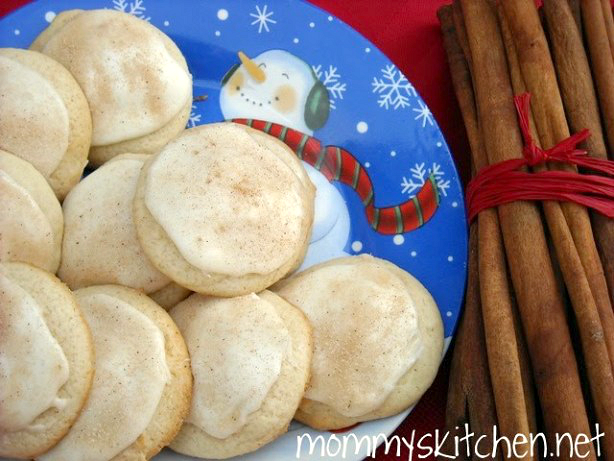 Frost the cookies and sprinkle with cinnamon sugar on top. I used regular granulated sugar mixed with spice island ground cinnamon. This post is sponsored by challenge butter. I was supplied with a Challenge Butter Gift Package consisting of butter coupons, spices and baking utensils for the purpose of reviewing their product. These look yummy. 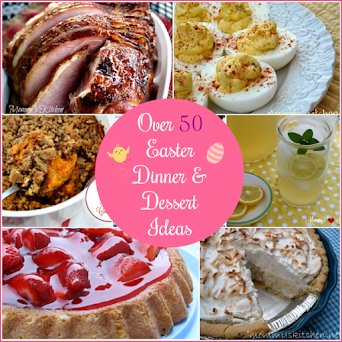 I'll have to try them this week when I start baking. Thanks for the recipe! What a wonderful way to use up all of that extra eggnog! I came across Challenge Butter by accident! It was super cheap at Kroger and I bought it and loved it!! just put one sheet in the oven, is the dough supposed to be really soft? i think added another 1/2 cup of flour and it was still soft, able to drop off a spoon. no challenge butter here though in iowa. I like the change with eggnog. these cookies look so delicious! I am not a huge fan of eggnog, but I am going to try it in cookie form to see if i like it, thanks again! We are die hard egg nog fans in our family. I just made some egg nog cupcakes with egg nog frosting that were to die for and I can't wait to try these too, they look delish! You cannot go wrong with real butter. It makes everything delicious. I have been using a butter made in Maine where we live - delicious! Yummy! These look so good! 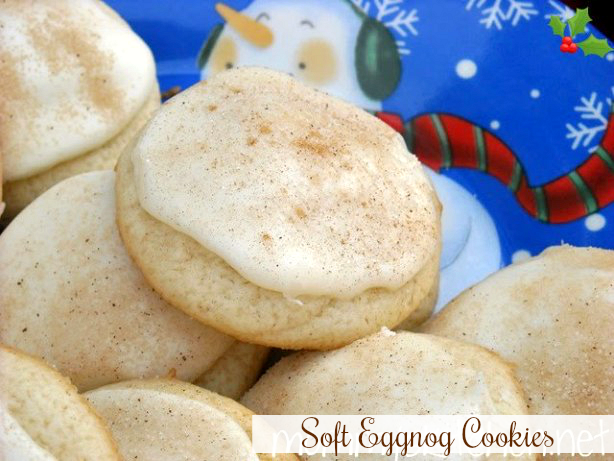 I love eggnog so I bet I will love these! Thanks! This is my second time coming to enter, The first time I got side tracked with eggnog cookies, and started looking for other holiday goodies to make! 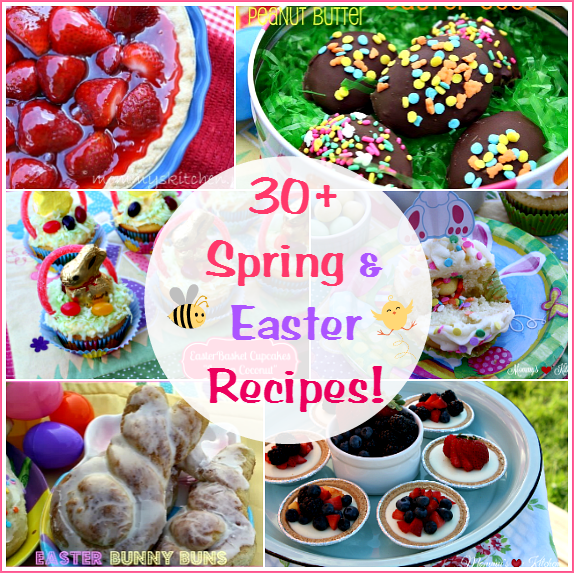 These look really good and I've got them on my list of goodies to make! Not sure if I like the eggnog, but good to know that I could sub buttermilk. Yay for free butter! Eggnog cookies??? Who'da thunk it? I've used Challenge butter before, but then, I'm from the Utah area, so it's all over the place here! I am going to make these cookies, I think I get about half my cookie recipes from your site, so thank you for another great-looking one! Yes, I have extra eggnog, too! This sounds like a wonderful recipe. Lory it should be kind of semi thick. If you click on the photo for the buttermilk cookies that is the consistency mine was. You might just use less eggnog. I used 1/2 cup and it was way to thick i ended up adding more. This is the butter I use all the time! I really like it. 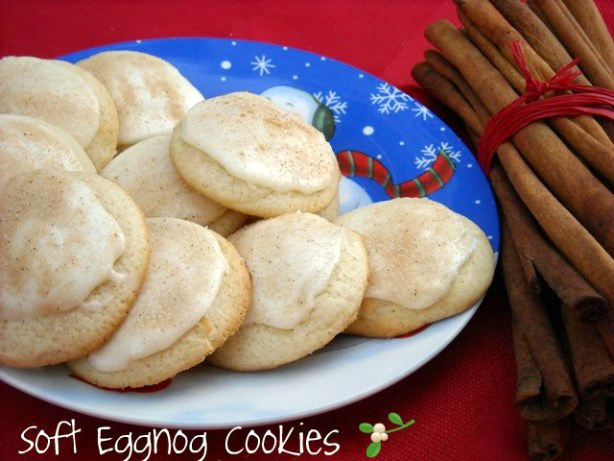 My son has been asking me to make eggnog cookies so I'll be making these for sure! Love, love, love eggnog! Thanks for yet another application for it! Wow I love Challenge Butter! love to make cookies with it! Good for you! This recipe looks great and very original! Thanks for your efforts! Those look tasty! Like snickerdoodles with frosting. What could be bad about that. Can;t wait to try these cookies. They sure sound wonderful. Those look soooooo soft. I must eat them. 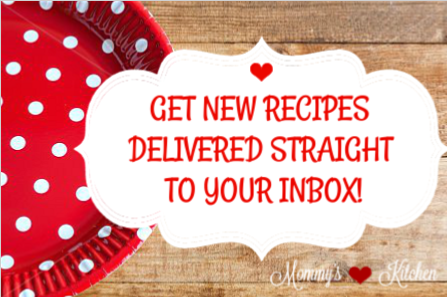 Don't you just love it when a recipe comes out great? I'll have to make my husband these if he can leave some eggnog around. I love the buttermilk cookies and have wondered about subbing some of his Irish cream coffee creamer so I'll try the eggnog first. I love those plates, I have them too. I cannot wait to try this cookie recipe! My husband loves eggnog! I love eggnog and cookies, so imagine how excited I am to try these! Thanks for an awesome creation! Have to be honest & say that i've never tried Challenge Butter. But would be happy to try it if i were to be a lucky winner. we've made the eggnog bread for 2 years now and love it. can't wait to try the cookies. my family of 8 goes through soooooo much butter! but it really does make a difference in the cooking. Those look yummy. I am thinking of making the tomorrow! I am not a huge cookie person but I love the looks of these. They DO look pillowy!!!!! And eggnog is something I rarely have so it's nice to sneak it into a cookie. What a great cookie recipe. You are so clever!! I love soft cookies. These are going to be a winner in my household. I know this even before baking them. Which won't be long. I would love some free butter for all the holday baking! Great recipe. I used Southern Comfort eggnog. Wow! I have used Challenge butter for a long time and like it. Thanks for all you do for us. 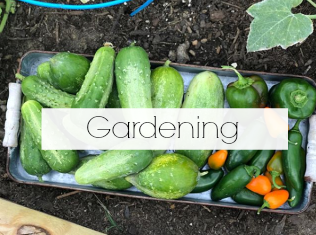 I recently discovered your blog & LOVE it! I'm planning to make the biscuits & chocolate gravy tomorrow, gorilla bread on Thursday & cinnamon rolls for Christmas morning. 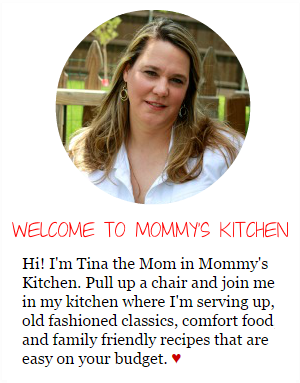 I'm a mom of 4 little ones (6 & under) who loves baking/cooking as well. I look forward to reading more! these are awesome- the butter makes them taste wondeful- great holiday cookies!!! Gorgeous cookies. I CANNOT wait to bake these tomorrow! I'm going to make two kinds one with Southern Comfort's Traditional Eggnog, and another batch with the most delicious eggnog ever Southern Comfort's VANILLA SPICE Eggnog. It doesn't sound too exciting, but once you taste it, you'll become addicted for life. (I swear I don't work for them, lol) I think my husband's co-workers will be very very happy at the Christmas party! Hey, quick question....I LOVE these cookies and I really want to mail some to my mother-in-law. Do you think these would ship well? Maybe they'd ship better if I don't glaze them? What do you think? Oh, and thanks for the wonderful recipe! My family loves eggnog so these will be a special treat. 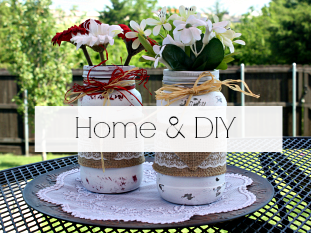 I can't wait to try making them! I can't wait to try these!!! I'm making homemade eggnog too!!! Made these on Friday - we loved them! They will be a new yearly favorite!! #9 gets my vote. Love eggnog I'm sure I woulld like these! Those eggnog cookies look and sound delicious. This will be my third Christmas making these cookies and the requests started in November this year!! The people at my job and my partners job fight over who gets more!! Awesome recipe, thank you!